Topsoil is the uppermost layer of soil. It is the most nutrient-rich soil variety because of its high concentration of organic matter and microorganisms. Topsoil is one of the most basic ingredients in a healthy and productive garden. Mulch is used on top of soil to help discourage weeds, keep the soil moist and prevent erosion. Tree bark, grass, shredded wood, grass clippings, straw, leaves, compost and even shredded newspaper can be used as mulch. Compost is recycled organic waste that has been decomposed into a dark, crumbly soil-like matter. Using compost returns nutrient-rich organic matter to the soil in a usable form and helps promote healthy plant growth. Compost can also be used as a mulch. Peat moss is made with decayed and compacted Sphagnum moss. 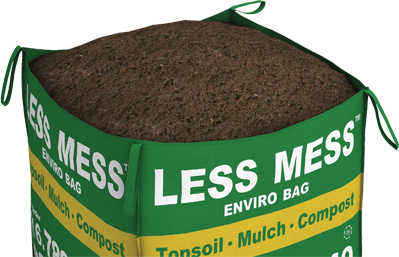 Peat moss is used as a soil conditioner, which increases the soil’s ability to hold water and nutrients. This is especially useful when the base soil is sandy, or for plants that require additional moisture to flourish. Peat loam is naturally decomposed organic matter that is an aggregate of plant, animal and mineral materials. Its texture varies from stringy to sandy to mushy. Excellent for holding nutrients and moisture, and is commonly used as a garden mulch. Humus is fully decomposed organic matter that has reached the point when it will not break down any further. Also referred to as mature compost, it is an excellent source of nutrients to microbes, which increases healthy microbial activity in the garden to stimulate plant life. Loam is a mixture of clay, sand and silt that is excellent at holding moisture while allowing adequate drainage for proper air circulation. The ideal loam mixture is a combination of 50 percent sand with 25 percent clay and 25 percent silt. Can be used as a variety of topsoil. Silt is sedimentary remains of fine clay, sand or soil found in running water on the water bed and along the shore. The best silt for gardening will have been harvested from water sites where there is a high concentration of natural vegetation. Clay is a fine-grained earth material that is a component in many gardening soils including loam, topsoil and silt. For a healthy garden, fertilizers promote plant growth by adding essential nutrients. The main nutrients (aka macronutrients) in a fertilizer are nitrogen, phosphorus and potassium. Typically labelled with three numbers, which refers to the concentration of nutrients in order of nitrogen- phosphorus-potassium.